The MSF Norway Program Department supports medical work and operations by providing expertise in areas such as inclusion of people with disabilities, migration, health information systems, methanol poisoning and maritime operations. It provides in-depth knowledge of MSF programs and policies, advocates and influences debates with other Norwegian actors involved in medical and humanitarian work, including the Norwegian government. The ambition is to make MSF the medical humanitarian organization of choice for all Norwegian health workers. Kyrre started in MSF in 2005, and assumed the role of Head of Programmes in 2013. He has worked as Field Logistician, Logistical Coordinator and Head of Mission in MSF operations in Pakistan, Bangladesh, Nigeria, Ethiopia, Uganda and Lebanon. He has also done operational support projects in Indonesia and Kenya. In MSF Norway, he has held positions in Fundraising and Communications department, and been President of the MSF Norway association for more than two years. Kyrre holds a Cand.Philol/Masters in history from Oslo University History. He brings many years of broad experience from humanitarian aid and development aid work. His main project is for MSF Norway to grow strong roots in the Norwegian medical communities - to create partnerships, harvest their expertise and mobilize them in support of our social mission. Field experience as medical doctor and medical coordinator in four field missions in Angola, Liberia, Kenya and Bangladesh. Previous president of the MSF Norway association. Specialist in internal medicine and infectious diseases. She also works part time in the Norwegian Institute of Public Health in Department of Resistance- and Infection Control. Interest:, Infectious diseases, mother and child health (contact person for Lærdal International - HBB course), treatment of burns including antibiotic treatment of those, antibiotic resistance and antibiotic use, quality improvement in diagnosing infections, access to medicines and vaccines, pneumonia, TB, measles, cholera. Jack Herheim has field work experience from Malawi, Myanmar, Greece and the Mediterranean as a logistician and as boat pilot. He has been MSF’s liaison officer towards the Norwegian government. Before joining MSF he was captain on a large sail-yacht belonging to an environmental organization and his expertise lies with maritime operations. He holds an Open Ocean Yacht Master certificate and is a licensed Fast Rescue Boat operator. 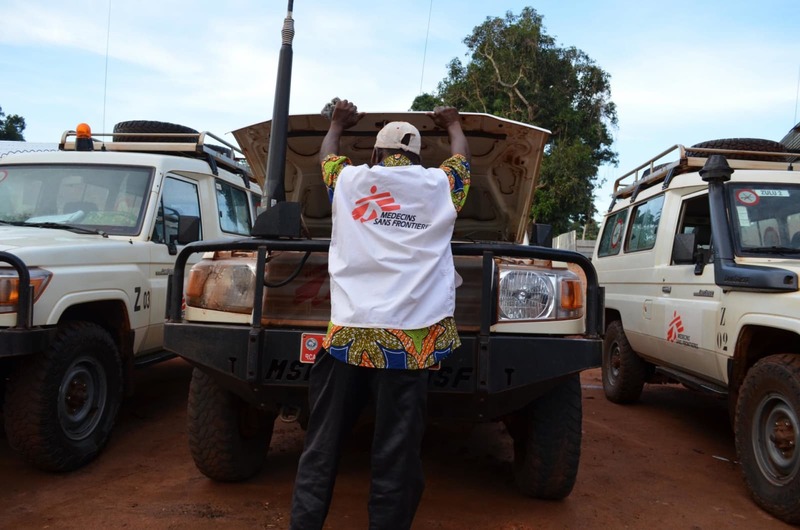 Patrice started working in the field for MSF in 1993 in logistics, as field coordinator and head of mission in South Africa, Democratic Republic of Congo, Sri Lanka, Bissau Guinea, Sudan, Laos and Papua New Guinea. From 2003-2012 he worked as General Director of the Norwegian office of MSF. Patrice had a break from MSF for a few years and worked for a Norwegian organization specialized on development aid for persons with disabilities. He particularly gained there expertise as facilitator for disability inclusion, training Norwegian NGOs on how to become more inclusive of persons with disabilities in their work and structure. Back in MSF since mid-2016, he is currently working in the MSF-Norway Program Unit on the issues of migration and of inclusion of persons with disabilities. Patrice Vastel is educated as engineer and social anthropologist. Operations: Nigeria, South Sudan, India, Bangladesh, Myanmar, Uganda, Pakistan, and more.